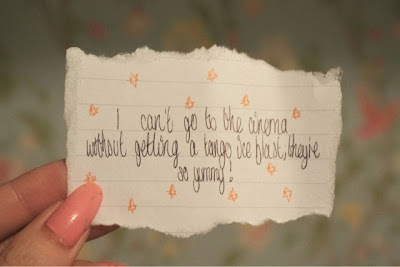 "Teen Bloggers Anouska Millar and Beth have decided to start a project called #TeenBlogSeries. Its aim is to bring together lots of the teens/young adults in the blogging community. For the next ten consecutive weeks, over 80 bloggers will be writing every Monday at 6:30pm about many different things, all beauty, lifestyle or fashion related. You can view everyone's posts by going to the hashtag on twitter "TeenBlogSeries". If you would like to get involved email: anouskateenblogger@googlemail.com." Week one of the Teen Blog Series (#teenblogseries on twitter for all you social media nuts') has finally come around and I'm rather excited. I'm up for any opportunity to show off the brilliance that is the teen blogging community, so this series is right up my street. This weeks post is a Ten Facts About Me post, so all of you who have found yourselves in my lovely corner of the interweb can get to know me that little bit better. Let's get crackalackin! 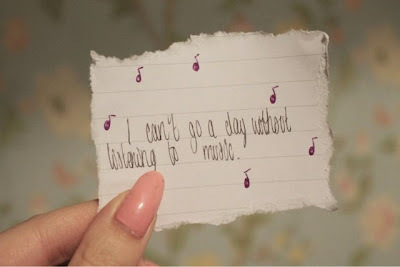 I can't go a day without listening to music. My favourite film has to be Harry Potter and the Dealthy Hallows part two. I cry every time I watch it. 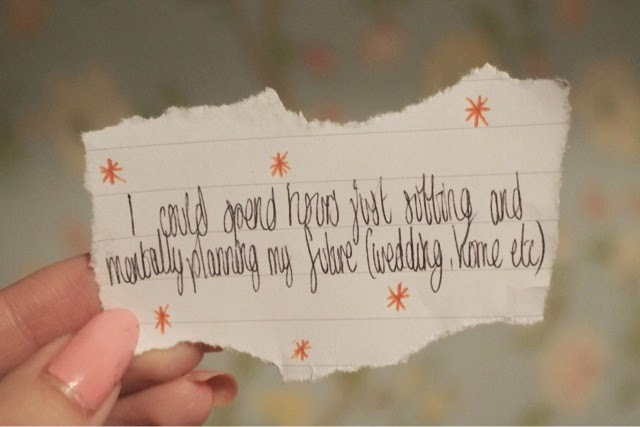 I could spend hours just sitting and mentally planning my future (wedding, home etc). 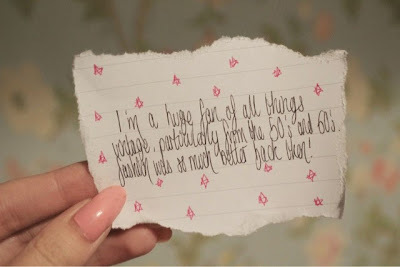 I'm a huge fan of all things vintage, particularly from the 50's and 60's. Fashion was so much better back then! 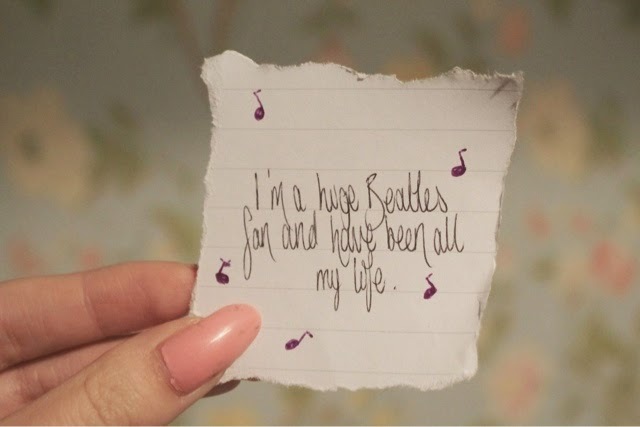 I'm a huge Beatles fan and have been all my life. 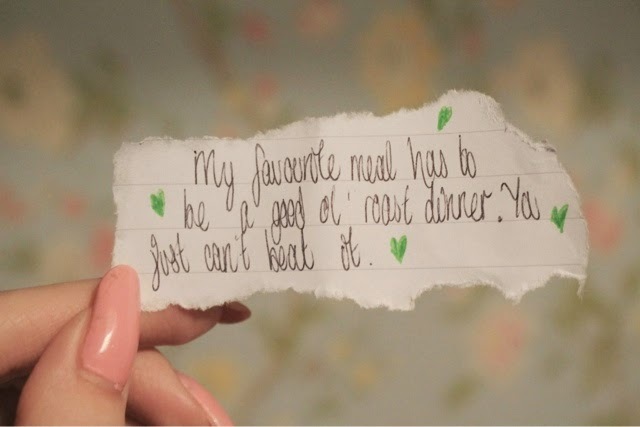 My favourite meal has to be a good ol' roast dinner. You just can't beat it. I'm roughly 5"9 and although I'm starting to really embrace my height, I used to hate it. I'm a bit of a musical theatre geek. 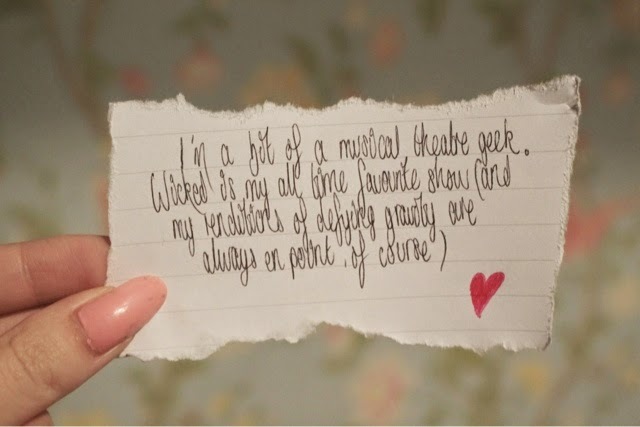 Wicked is my all time favourite show (and my renditions of defying gravity are always en pointe, of course). I can't go to the cinema without getting a tango ice blast; they're so yummy! I have a bit of a thing about guys with lovely accents. I'll see you back here this time next week for round two of the series! If you're taking part, let me know, I'd love to have a read of your posts. I love listening to music! I listen for like 3+ hours everyday ^_^ Found you on twitter from the #teenblogseries! Nice idea with the hand written notes, your handwriting is so nice! I love Harry Potter and musical theatre too! 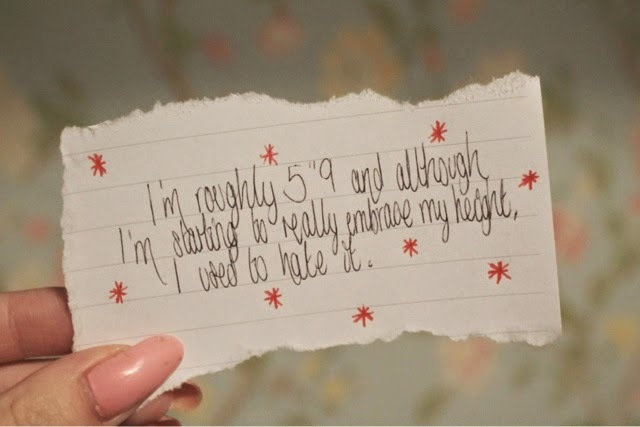 LOVED this post, so cute and a very nice twist with the written notes!